The young lady who walked into my office wore a trendy Avengers t-shirt and smiled at me with an endearing twinkle in her eye. She had short hair and almost immediately, I was struck be her poise and self-confidence. Jenna Tharrington, a senior at Oak Hills High School is one of the many young volunteers who visit the Freestore Foodbank regularly. Jenna started volunteering with us in 2017. “In 2017 my mom scheduled an appointment for the entire family to come in and pack Power Packs,” Jenna remembers. 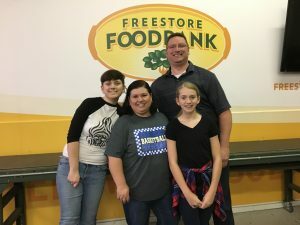 That single opportunity was so rewarding that the Tharringtons made volunteering at the Freestore Foodbank a routine family activity. 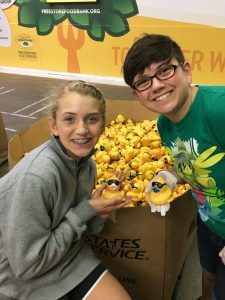 They have come to the Freestore Foodbank many times in the last couple years engaging in a variety of volunteer activities ranging from packing Power Packs to tagging rubber ducks. Helping others is a passion and priority for Jenna. She has a younger sister and her mother works for Proctor and Gamble. Like most families, the Tharringtons are constantly juggling homework, weekend activities and a million other things. Not everyone can make it for every assignment. 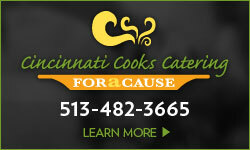 However, Jenna is the family’s so-called common denominator for every volunteer event. She always makes it a priority to fit it in. “I love helping people and I try to fit volunteering in no matter how busy my schedule is,” she says. In the summer they come in as a family and help pluck and tag rubber ducks and prepare them for the Rubber Duck Regatta. “Last year they needed someone to shovel the ducks into a huge crate after they were tagged,” Jenna remembers. “I don’t think many people wanted to do that job since it was hard work. So I picked up a shovel and did it!” “When there is work that no one wants to do, Jenna is the first one to jump in and help,” says her mom. 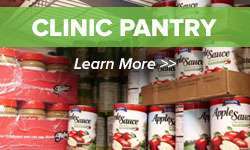 Most recently the family volunteered at Liberty Street Market, the Freestore Foodbank’s choice pantry downtown and helped to pass out many gallons of milk. When she was done passing out milk, Jenna helped stock shelves. “They needed someone to do it and I jumped in and helped!” Jenna says. 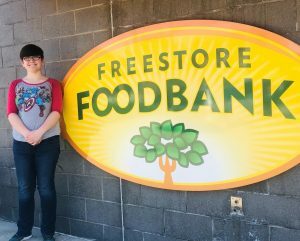 “The work needed to get done and I feel immense satisfaction to be that person who will do what is needed no matter how hard it is.” Jenna intends to continue to volunteer at the Freestore Foodbank and has already attended a few student nights to help out. As I said goodbye to Jenna and her mom I felt inspired by this remarkable young person who has the humility to recognize how blessed she is, the compassion to help those who are less fortunate and the wisdom to feel a sense of responsibility to give back to the community. The Freestore Foodbank welcomes young volunteers and we take pride in instilling commitment in young people to become active participants in the community. 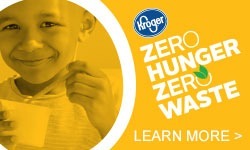 To find out more visit volunteer opportunities.